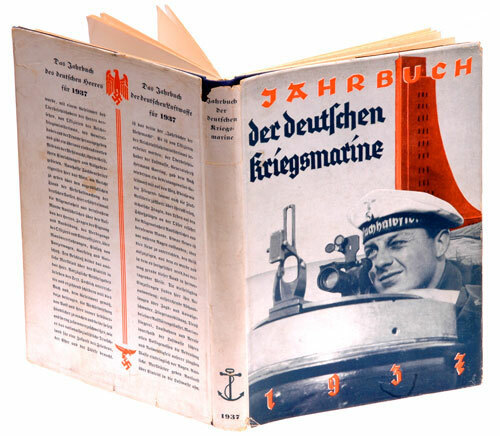 Home > Catalog > Third Reich > Kriegsmarine > Navy Badges > Uniforms, Insignia, Books, etc. 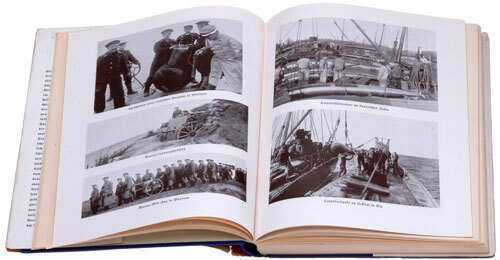 Jahrbuch der Deutschen Kriegsmarine: Leipzig Verlag von Breitkopf & Härtel, 1937, 17x24 cm, 146 pages, 95 original photos, with dust jacket, light wear. Annual review of German Naval affairs & matters, new ships, seamen, history of the Kriegsmarine and other navies, includes diary of year's naval events and occurances.